Bio: Kylie Sivell started skiing in Ontario, Canada, when she was two years old. At ten, she started competing in mogul skiing and worked her way up through the rankings to make the Ontario Mogul Team. This gave her the opportunity to compete at a high-level across North America for five years. Following her mogul career, she moved to B.C. to attend college and quickly discovered a new passion for big mountain skiing. She entered her first freeride contest in 2012, and was immediately hooked. She spent the next four years on the FWQ circuit and finished up the 2016 season ranking first in the world, qualifying for the Freeride World Tour in 2017. Excited to further her ski career and gain the experience of skiing challenging lines offered by mountains around the world with the world’s best athletes, she reached the podium three times during the five-part event. 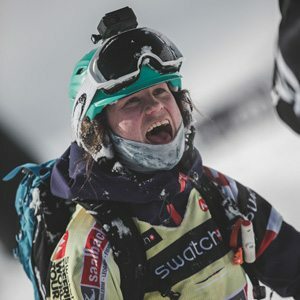 At one time she ranked first for Womens Ski, and finished fourth overall and was named the FWT as Rookie of the Year 2017. Check out Kylie’s mad skills!